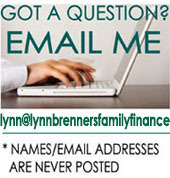 Lynn Brenner's Family Finance: The Mailbag: "Postponing Social Security is for Suckers!" In this post, you made this remark:"Listen, guys: At 70, your Social Security benefit is 51% bigger than if you take it at 62. A $750 benefit at 62 would be a $1,320 benefit at 70 -- and that's without including the annual inflation adjustments." Actually, an increase from $750 to $1320 is a percentage increase of 76%, not 51%.